Greetings! 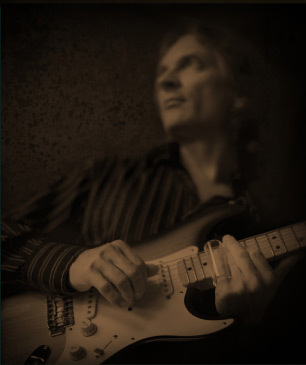 The all-new SonnyLandreth.com is up and running. New and re-vamped features - including a 20-song jukebox accessible on our Home page - abound. The spring festival season is also upon us, with Tour Dates coming up at MerleFest, Rock'n'Bowl, Jazz Fest and many more venues and festivals. Sonny's new all-instrumental album is also underway, with four songs tracked at Dockside Studios in Maurice, La. in the can. "When you trade out your singing voice for your instrumental voice, you really need to develop even stronger themes to inspire imagery," Sonny says. "So I'm trying to go a lot deeper in terms of melody and in terms of chordal complexity." Final vinyl for "Levee Town," "The Road We're On" and "Grant Street"
"Levee Town" got the Expanded Edition treatment on CD in 2009, and that project and two others are slated for vinyl releases as well. "We're re-mastering, selecting bonus tracks and will distribute all three discs on vinyl," Sonny notes. "For the first time, we'll be able to offer the experience of analog sound with full-size cover designs and artwork. My team and I grew up with that, and we've always tried to capture on our CD projects the essence of what we all fell in love with on the covers of albums and in album bins in record stores. Art Director Megan Barra's re-packaging designs are complete, and they look incredible." Stay tuned for release dates. Sonny once again opened the show, Eric Clapton cameo-ed with Sonny and his band, and that set begins the video releases from the second Crossroads Guitar Festival. "We come right out the chute, and it's a great way to greet the day," Sonny says. "Bill Murray keeps us all laughing. Eric's the ultimate host, and when he walks out on stage, everything just goes up, the energy level for us definitely spikes." Watch them playing "Promise Land" together on our site here. In the March 2011 issue of "Guitar Player," cover subject Eric Johnson talked about Sonny's cameo on the song "Your Book," which closes out Johnson's new disc, "Up Close:" "Sonny's great. He's a very musical player, and he really thinks about how he arranges his playing. I'd played on his album, and he returned the favor." Sonny adds, "That was really touching that he asked me to do that. That's a song he wrote after losing his dad, and I'd just gone through that too." Sonny also recently cameo-ed on recordings by Jeff Golub and Tom Principato, and shared the live stage with Joe Satriani and Davy Knowles. "Joe and I had played a couple of festivals together - the first was Crossroads, then we met a couple months later at the Pistoia Blues Festival in Italy. He's a super nice guy, just really down to earth, and I've been a big fan of his for many years. We did Guitar Town in Colorado over three years ago, and I sat in with him that night. Joe Bonamassa and John Jorgenson were on that gig too. Then we got to do the show together in Amsterdam with Davy Knowles, and that was probably one of my all-time-favorite sit-ins, having that all come together." Sonny will head back to the Netherlands and Italy this summer, and our Tour Dates section always has the latest info on the road ahead.